The Giving Mirror is an A. Taylor Studio bestseller, and one of a kind. It is truly a special mirror, and the story behind the name is truly heartwarming. Its gorgeous unique floral trim makes it a true statement piece. Perfect size for an easel or wall mount (hangs vertically, as shown in photo). This silver beauty can be traditional or even bohemian, but it is always regal. This mirror's versatile shape is perfect for any event. Intricate details adorn the edges of this silver mirror, adding understated interest. Perfect size for an easel and truly fits any venue. No wall mount. The Classic Mirror is a large, solid wood frame mirror that would serve as a perfect seating chart or grand welcome sign. Its beautiful, rich gold frame makes this feel like a piece lost in time. 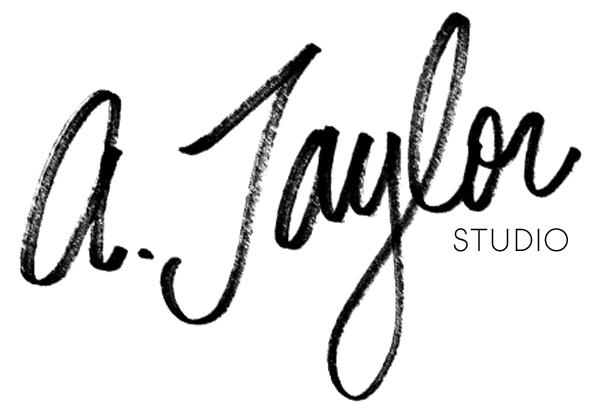 Its larger size suits it for more text than any other mirror that A. Taylor Studio offers. This mirror will fit any theme or venue, and it is waiting for your design (and maybe even some florals draped on its corners). Perfect for a large easel or wall mount. 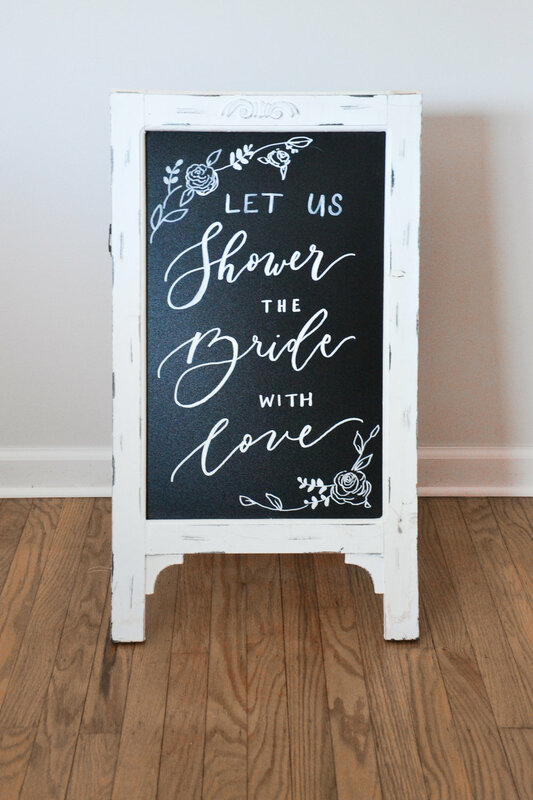 This bistro-style faux chalkboard is a highly functional cutie. Double sided with a classic white frame, you can direct your guests to their seats or announce your wedding hashtag. The brushed white frame makes this a universal favorite. Dimensions: White frame is 17" wide and 28" height from the ground. Chalkboard is 13"x21"
Geometric details make these mini mirrors stand out (and stand up by themselves)! Perfect for showcasing your sweetheart table, signature drink, or hashtag. These mini mirrors are free standing and can be positioned horizontally or vertically. With the soft rosy gold frame, these mirrors are perfect for a wedding that's all about modern romance. Set of 12 rectangular chain link signs with crisp white text reading "Reserved." Beautiful filigree design bordering the sign adds a touch of elegance. Perfect for hanging off of your guests' chairs during the wedding ceremony. Non-customizable. Stunningly simple 12x12” square glass with short chain link for hanging. The frames open up with a small hinge - perfect for inserting greens for texture and interest. These are fully customizable. Available to rent as a pair. Make these table numbers a unique "something borrowed!" Solid cherry wood with written out numbers one through twelve. High quality, thick wood cuts make a statement but sit low enough on your table as to not overshadow your florals. Non- customizable. Book your pieces by contacting me. You will be asked to provide information along with your requested date(s) for your event. I'll let you know if the sign is available for your dates, and we can arrange custom text for the sign of your dreams! Then, we can discuss drop-off and pick-up timings. The pricing above reflects a 48 hr. rental period. Minimum rental is 24 hrs. Blank mirror rentals are not offered. Some items are offered as "add-on" which means you get a discount for booking that item in addition to another rental. All signs are recommended for indoor use. Please allow 3-4 weeks for customized signs to be completed. How do I know if I am local? *Delivery fees are included in the rental price for local brides within a 15 mile radius from Doylestown, PA. At this time, local services are extended to lower and central Bucks County brides. I am happy to offer delivery rates for brides in the Philadelphia area. Please check with your venue to see if your calligraphy pieces can be accommodated.